In a wide bowl, mix vinegar and soy sauce, pour the sesame seeds into a plate. 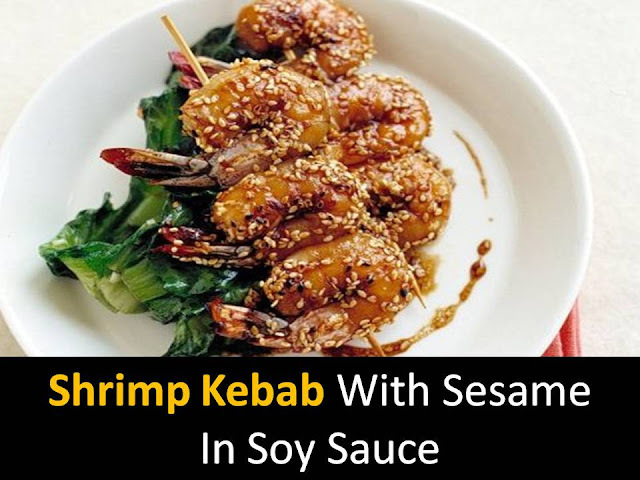 Each kebab dipped in a soy-vinegar mixture, rolled over sesame seeds to evenly cover with shrimp seed. 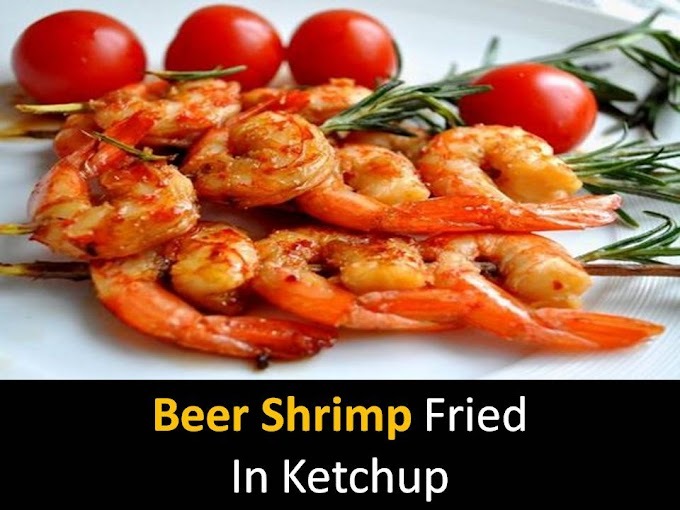 Step2 - Preheat pan with butter and fry skewers with shrimps on each side for a couple of minutes. When the mixture thickens pour kebabs with this sauce.